We are amazed at how quickly this spring semester has gone by. It is not long since we celebrated the New Year, and now it’s soon midsummer. For many of you it is almost time for the holidays and some well-deserved rest after a busy spring semester. We would like to take this opportunity to look back at the past six months. It has been an eventful semester in which we have experienced Uppsala University both in day-to-day life and on special occasions. We have had two conferment ceremonies during the semester and several visits by ambassadors and representatives of other universities and networks. For example, a delegation from Fudan University in Shanghai visited us, as well as Kurt Deketelaere, Secretary General of LERU (League of European Research Universities) and Christopher Higgins, Vice-Chancellor of Durham University and chairman of the Matariki Network. There have also been a few trips and seminars during the semester. The university management has visited Aarhus University, Oxford, Cambridge and Edinburgh University. We have also participated in Coimbra seminars in Venice and Galway, among others. We have also had several well-attended public lectures at our university, including Tarja Halonen’s interesting Dag Hammarskjöld Lecture and Stefan Swartling Petersons Alumni Lecture. During the semester, we have also acquired a new chairman of the University board, as well as several new board members. We would like to once again thank our former chairman Hans Dalborg for his work, and welcome our new chairman Carola Lemne, and other new members. 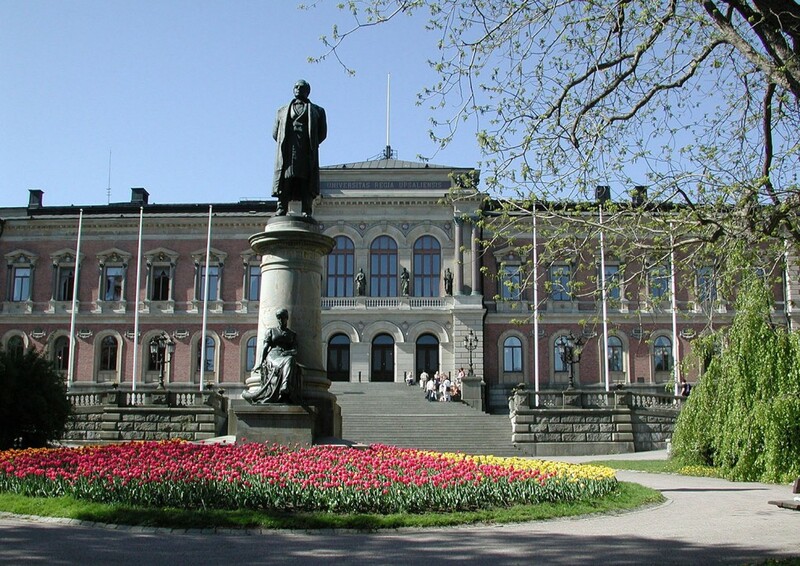 Uppsala University is a broad, full-scale research university of high international standing. Our mission is to conduct research and education of the highest quality, and in different ways interact with the community in order to contribute to a better world. We have in collaboration with various groups identified four strategic priorities that we have written about previously here on the blog. The four areas are: quality, internationalization, skills and career, and infrastructure. • Perhaps we as a research university sometimes take the link between education and research for granted and forget that it is about much more than just having teachers that generally are postgraduates. • The existing examples of active student participation in education are good, but these forms could be used on a larger scale and more systematically. • With regard to the implementation of tools for e-learning as an integral part of our education there is much to do. • Generally, greater leadership commitment at all levels of education development are demanded. • We have a tendency to rely too much on external evaluations in terms of education. We should have some form of self-initiated systematic analysis of education from a holistic perspective. The results from the Swedish Higher Education Authority have led to both criticism and praise for our education. According to the results published so far, one of four educational programmes in Sweden received the mark “poor quality”. We doubt that this is true, although there is certainly some legitimate criticism and space for improvement. There are questions regarding the evaluations and the methods used. We see risks that innovative programmes which are more cross-border and applied do not fit the template. We also have a great concern that the methods, which so unilaterally uses degree projects, will be difficult to apply to vocational training such as medical school. For Uppsala University’s part, the outcome of the evaluations has nevertheless proven to be relatively good. 60 per cent of the programmes evaluated have been said to be of “high quality”. 21 per cent have received the rating “very high quality”, while 19 per cent are considered to have “poor quality”. Overall, 80 of our educational programmes have been evaluated as of 3 June 2013. This spring, a new adviser to the Vice-Chancellor for International Affairs has been appointed, Leif Kirsebom. Also, a council for internationalization with representatives from different disciplines, students and the administration has been created. An important task for the council is to revise the programme for internationalization, and to develop a new action plan for 2014 and beyond. The development has already begun to give the work a flying start. The process is divided into three parts, and together, these actions are to strengthen our collective work on these important issues. We have received positive feedback when we clearly highlight the internationalization of Uppsala University. Internationalization is an integral part of our business and a concern for the entire university. That it would only concern mobility and in- and outbound students is an outdated view. International cooperation is a means and a strategy for achieving improved quality in both research and education. Last semester, we completed the work with qualifying positions and a routine for calling of professors, and during the spring the department of Science and Technology launched a high profile recruitment campaign where ten open teaching position are to be filled. We have adopted new guidelines on re-employment after the age of 67, and recently the Swedish Research Council announced a new grant with the aim to provide Swedish universities with further possibilities to attract leading international researchers. The need and ability to finance infrastructure investments change over time, and greater coordination nationally and internationally will be needed. Joseph Nordgren has this spring been commissioned to survey the existing research infrastructure, and develop proposals for long-term coordination. The contract also includes analyzing future needs and propose changes and processes for initiating and managing new infrastructure, both locally, nationally and internationally. Another issue that remains relevant is the need for student housing. Production of more student housing must be facilitated to avoid housing becoming a bottleneck for Uppsala’s development. The University administration’s plans for new facilities on the “Plantskolan” block are progressing. The local council’s decision on the local plan is expected in the summer. Another issue related to infrastructure is SciLifeLab, which as of the government’s investment in the Research and Innovation Bill 2012 has become a national research institute. Göran Sandberg has been appointed new chairman of SciLifeLab, and the board held its first meeting in mid-May. Uppsala University’s Goals and Strategies will give us a vision for the future, and at the same time be a living document that reflects our daily operations. During 2013, the Goals and Strategies will be revised. We need to look at the issues of the future from all possible angles and think about the university we are today, and how we want to evolve and operate in the future. Göran Magnusson and Coco Norén have been appointed to lead a task force to develop a proposal that can be established by summer 2014. This is a unique opportunity to discuss the University’s issues for the future. We hope you want to contribute to the discussion with your views and experiences so we can make further progress in our joint efforts to contribute to a better world. The resource allocation model and operational planning for 2014 took less time this year, but is by no means less important. It is good that we have a clear model since last year, which clearly indicates how resources are allocated for both research and education. Now the laborious work of the disciplines and faculties continues, to retain the necessary priorities – while keeping a strategic focus. A major challenge for the future is to regain the sizing of our courses that is needed at our university. But we must also work for continued strengthening of resources. Many faculties and departments have seen their allocations gradually eroded. We have mentioned many times the fact that we are growing fast. From 2011 to 2012 over 200 new employees were hired, and over the past four years we have grown by roughly 1,000 employees. Still, faculties and departments have unspent funds, but with the current rate of expansion on the research side we believe these will be utilized in the near future. For the University as a whole, the applications numbers are looking good. With contributions from Gotland, we note that the number of applications for Uppsala University increased by 40 per cent for the autumn semester 2013. And the number of applicants for autumn courses on Gotland has increased sharply, by 64 per cent. Last spring we were delighted to see more international applicants, but this year’s figures show only a marginal increase in the number of overseas students for the autumn. We had hoped for more positive news, but it is clear that it will take further action if we are to maintain and develop our global classroom. For us, it’s not quite time for summer vacation yet as a few weeks of work remain. On 1 July this year Gotland University will join Uppsala University and become Uppsala University – Campus Gotland. The purpose of the merger is to create a unique profile within our university and long-term, competitive activities on Gotland. The merger is a historic event and we are confident that the activities at Campus Gotland will enrich Uppsala University’s continued development. When we come back in the autumn, we, together with the Management Council, will go away to discuss general strategies for the short and long term. We will identify what issues we should focus on, and agree on how we should work with them for the University’s best. We have both research and education of the highest quality, but it is important that we do not rest on our laurels. We will constantly face new challenges, and there is no indication that there will be less to do looking ahead. The world is changing and competition is getting tougher all the time. With safe anchorage in our fundamental values ​​and belief in our mission, we are equipped to take on future challenges. If we are to consolidate our position as one of the world’s leading universities, we must become even better at utilizing the broad university. We must find ways to combine the disciplinary specialization that is our hallmark with broad and multi-disciplinary research efforts. The social challenges the world and Sweden face know no subject or faculty boundaries. We must also continue to insist that Sweden needs to educate more, not fewer, students and that Uppsala University is among the institutions that has the most to offer in terms of both breadth and quality. But that’s not until the autumn. Now we would like to thank all staff, students, partners and friends of Uppsala University for the past semester and wish you all a great summer!